Some residents find the phenomenon annoying while others say it's "hilarious." By the time twilight falls and the sky's blue is deepening to black with every second, the treetops are filled with crows — thousands upon thousands of them. 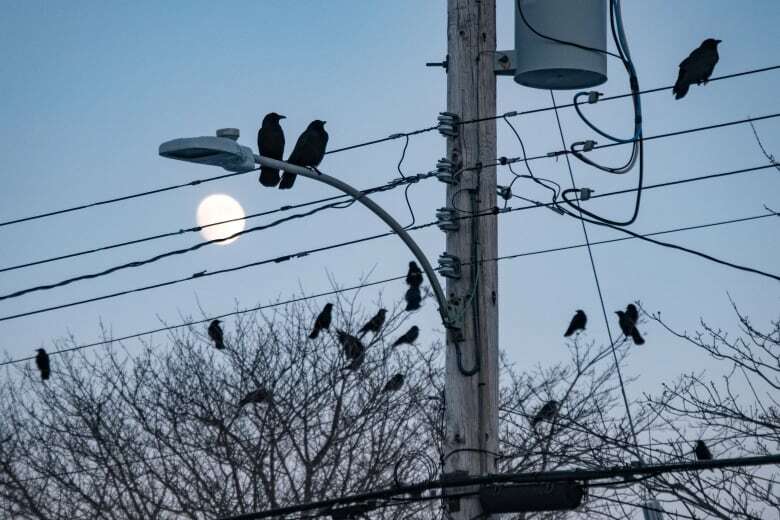 "It just gets black with crows," said Fleurette Sweeney, who lives at a retirement home for nuns behind Mount Saint Vincent University, which is pretty much ground zero for the nightly crow convention. "It's hilarious. The cacophony of sound is incredible." They've been flocking to the area between about Seton Road and Flamingo Drive for decades in numbers that have been estimated at up to 8,500. "I can remember being a little kid and driving in the car in the wintertime and thinking, it's weird that there's leaves on those trees," she said. "But they weren't leaves — they were crows, hundreds and hundreds and hundreds of them." "We used to drink up in those woods when we were 13 and 14 years old and there was always the scary story about the crows following you or watching you," she said. 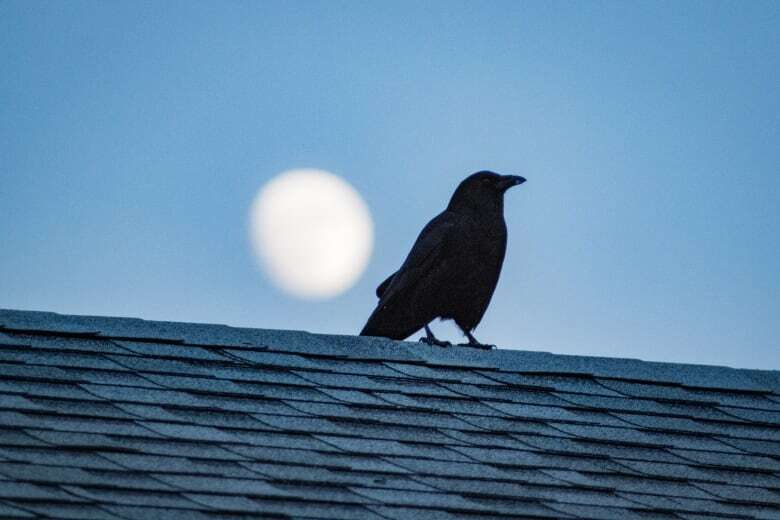 Kevin McGowan, a crow specialist at the Cornell Lab of Ornithology in Ithaca, N.Y., said crows have been known to return to the same roost for 100 years. While the biggest roost he's seen had about 100,000 crows, one in Oklahoma was estimated to hold over two million. It's unknown how far crows travel for their gatherings, but 15 kilometres would be "no big deal," McGowan said. "The great horned owl is the bogeyman," said McGowan. "It is the thing that comes and gets you in the middle of the night and eats you." 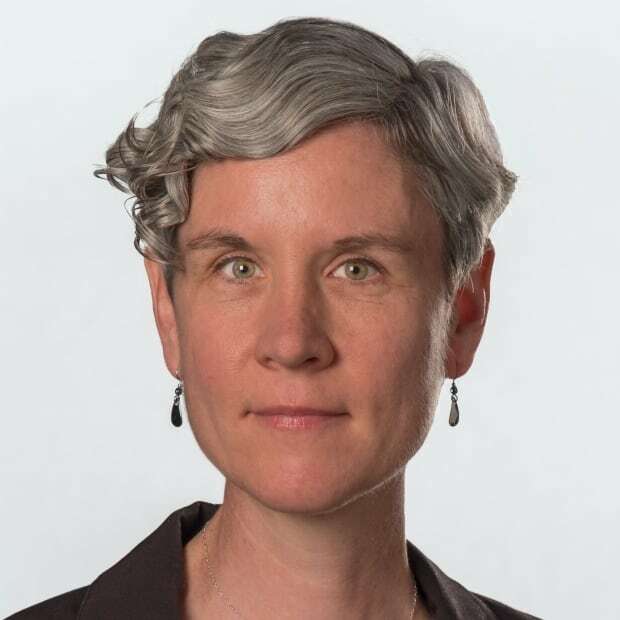 Retired professor Fred Harrington, who taught animal behaviour in the psychology department for 33 years, said early in former NDP leader Alexa McDonough's stint as interim university president, she was working late on campus one night and "all of a sudden she saw the sky fill with crows." "She wondered whether she should call security," he said. "She was kind of baffled by the whole thing." 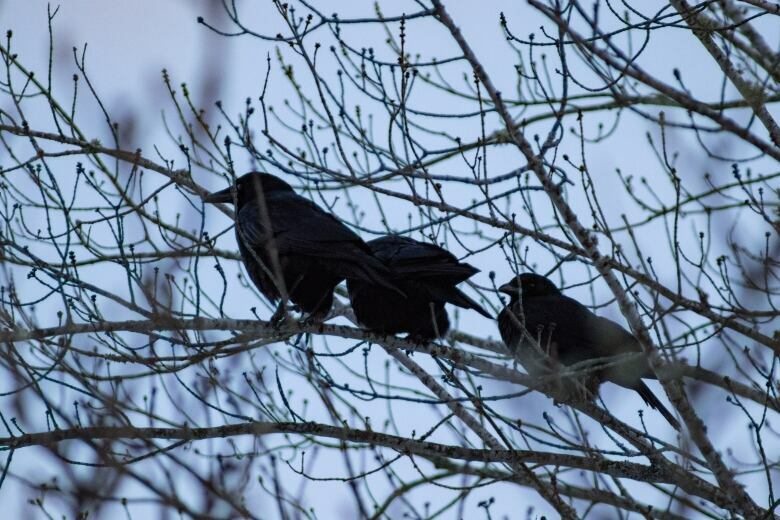 For a while, hundreds of crows would roost in a cluster of trees along a steep path between the library and cafeteria, and students were "terrified" of them, Harrington said. "You have … several hundred crows that are going to defecate at some point during the night onto that path, so the path actually became kind of treacherous and slippery," he said. Some of his students used a helium balloon covered with a black garbage bag with two paper eyes taped on it to deter the crows, but that didn't work for long. A falcon, too, had a short-lived effect, but Harrington said it was only when some of the longer branches were trimmed that the "whitewashing" of the path stopped. For the most part, though, Mount Saint Vincent University has embraced its noisy neighbours. The campus lounge is called the Crows Nest, there's the Crow 'n' Go convenience store and earlier this year, the university even retired its mascot, Monty the mountain lion, in favour of a new one: Captain the Crow. "I've had up to 75 crows mobbing me when I go to a nest … flying overhead and yelling and insulting my ancestry and stuff like that — generally noisily expressing their displeasure at my presence on the planet." "It's like, ''Ah, it's that guy!… And everywhere I'd go in town, minding my own business, I'd get mobbed." They pick him out of a crowd no matter what he's wearing and they spot his white Subaru — "and trust me, there are a gazillion Subarus in Ithaca" — going 100 kilometres an hour and fly around it until he tosses peanuts out the window. McGowan said crows are "one of the most fascinating animals on the planet," and people should appreciate them for the amazing creatures they are. "I think crows are awesome and people often don't give them the thought that they deserve," he said.